A smiling (grinning) face with round eyes and open mouth. Upper teeth are shown. 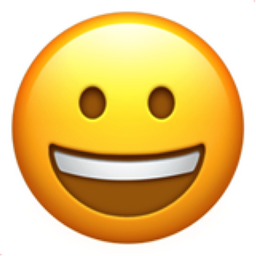 This is the simplest form of emoji smiley face.